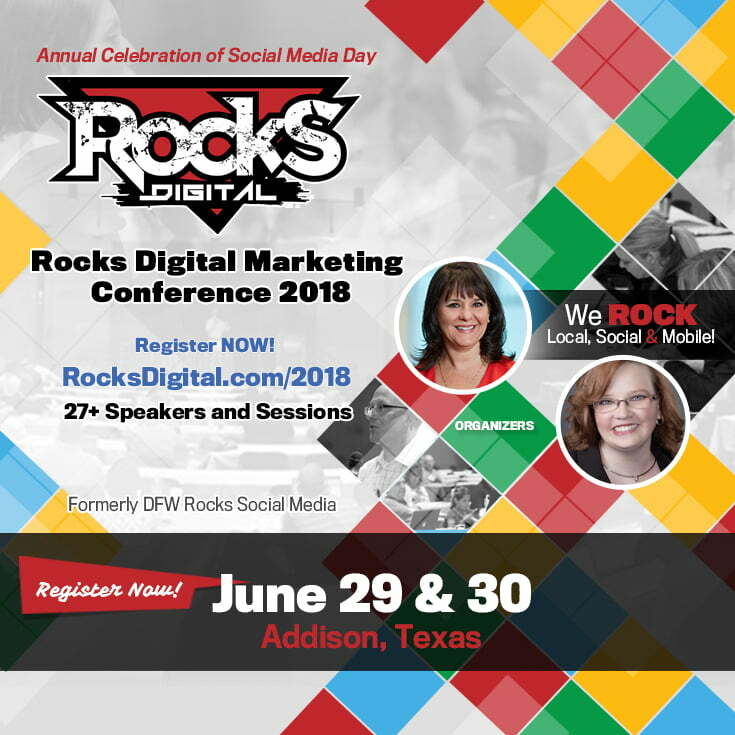 Do you want to speak at the 2018 Rocks Digital Marketing Conference in Dallas, Texas on June 29 & June 30? Great! Do I have a passion for the digital marketing industry and want to bring that passion to Dallas, Texas? If the answer is YES, keep reading. Am I wanting to speak, so I can sell the attendees my products or services? If the answer is YES, click away. There is no selling from the stage at Rocks Digital. Am I wanting to speak, so I can get a free ticket to attend? If the answer is YES, we admire your honesty, but please click away. You are not the right speaker for us. We want the best of the best speaking at the conference and highly recommend, before submitting, that you look at the prior years events, familiarize yourself with them, the speakers, the format and then decide how you see yourself fitting. Traditionally, we require all speakers to have attended a prior event before being selected to speak. This year we are lifting that restriction, however, the selection process will be quite stringent. Are you ready to submit to speak at the Rocks Digital Marketing Conference 2018? Complete the form below and click submit! What topic do you want to speak on? Include suggested title, description and attendee takeaways. I am willing to be a panelist, if there isn’t a speaking position available for me. You will be given one ticket to the conference for yourself. If you want to bring anyone else you will need to purchase a ticket. You agree to waive your speaker fees. We don’t have a budget for these type of expenses. You will be responsible for paying for any and all travel related expenses. This includes your hotel stay, airfare, meals, etc. You give us permission to video your presentation and take pictures of you for later use. You agree that you will not use profanity at the conference from the stage. What you do one-on-one is your own choice. Please forgive the forwardness of this page, but we want to address any issues that may come up in advance of your submitting.